Are You Ready to Build Your Own Holsters? There’s no doubt about it — making your own holster is an incredibly satisfying thing. Whether you want to build your own holster because you want to ensure a perfect fit for your personal firearm or you’ve decided that there’s a demand for high-quality holsters in your neck of the woods, figuring out where to start can be a challenge. There are plenty of things to consider. Will you use leather, and if so, where will you get leather holster making supplies? Is kydex the way to go? You’re going to have to find somewhere to buy kydex sheets for sale. Fortunately for you, regardless of your ambitions, you’re in the right place. When it comes to holster making supplies, Holster Builder has you covered! Available in convenient 12” x 12” sheets, the kydex sheets we have for sale comes in a number of different colors and patterns. From solid colors to camo patterns to carbon fiber to textured prints to custom prints, we have it all. In other words, if you want to make kydex holsters, we give you flexibility in the type of sheets you can order to ensure that you’re able to get it just right. We also offer a number of different kydex supplies to help you customize your holster to your specific needs. As mentioned above, we offer everything from binding posts to rubber spacers to finishing washers to buffing supplies. No matter what you’re looking for, we have it. With a number of different belt attachments to choose from including IWB, OWB, and specialty attachments, you can customize your holster to your liking. We even offer custom engraving. All it takes is a quick look around our website to see that no matter what type of holster making supplies you’re looking for, you’ll find them here. We knew that making your own holster was a difficult prospect for many because it was difficult for us when we first started. You see, first we were shooters in need of a good holster. That led us to making our own. It was tricky to find the right supplies, and that’s why we’re here because we want to help you succeed whether you’re looking to make a few holsters for friends and family or you want to get into the business yourself. Our team is dedicated to supplying the holster builders out there with anything they need to succeed in their business by having low prices, great customer service, and affordable shipping in the United States. It doesn’t get much better than that! You can find the kydex holsters we’re building over at Eclipse Holsters if you’d like to see the end result of all of our hard work. We’ve been building for over 5 years now and there’s nothing we love more. Have a question? Check out our FAQ to see if we can help, or scroll to the bottom for our contact information. We look forward to hearing from you! 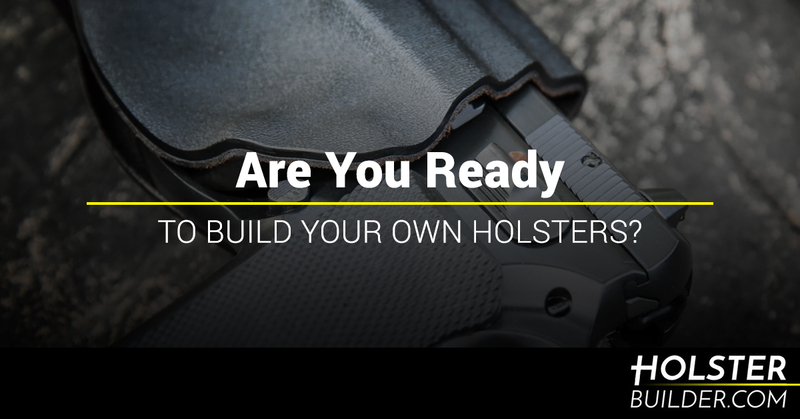 By Holster Builder|2019-02-11T09:51:02-05:00November 15th, 2018|Holster Making Supplies|Comments Off on Are You Ready to Build Your Own Holsters?